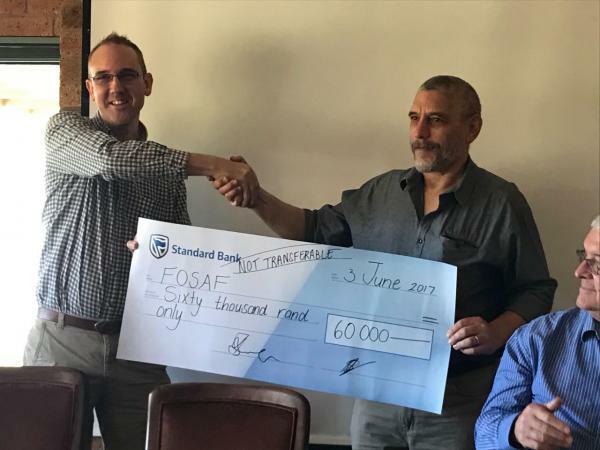 FOSAF received a very welcome donation of R60 000,00 from the Natal Fly Fishers Club last month. This will be used to fund the organisation’s ongoing NEMBA/AIS campaign against the Department of Environmental Affairs efforts to list trout as invasive. The current work has entailed mapping places where trout occur and finalising the relevant self-regulation framework and other regulations that will pertain to trout. These negotiations commenced about 11 years ago and as yet there is little indication that they will be finalised soon. Not only has this lack of progress been very costly for FOSAF and the flyfishing industry, but it has had a negative effect on the hospitality industry in the areas where trout occur and where waters require regular stocking. FOSAF has also been involved in the debate regarding the draft Aquaculture Development Bill which in its present form has already inhibited investment in fresh water fish production in South Africa. Ironically there appears to be little will on the part of government to confront the real threats to biodiversity such as pollution and damage to the riparian zone from the untreated discharges from many water treatment plants or the mining in the water- rich areas such as the Mpumalanga escarpment. NFFC club chairman Andrew Fowler hands over the cheque to FOSAF’s national chairman, Ilan Lax.